Every year we try to change things up a bit. 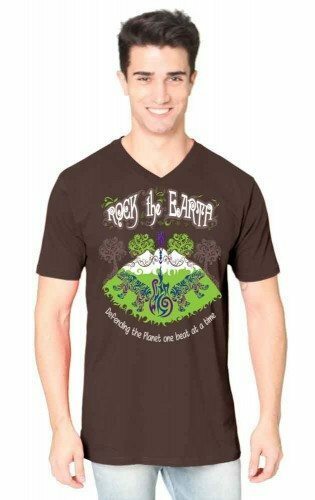 Like a popular band, we know that fans of Rock the Earth are always looking for new ways to wear their colors and show their pride in our organization’s work. 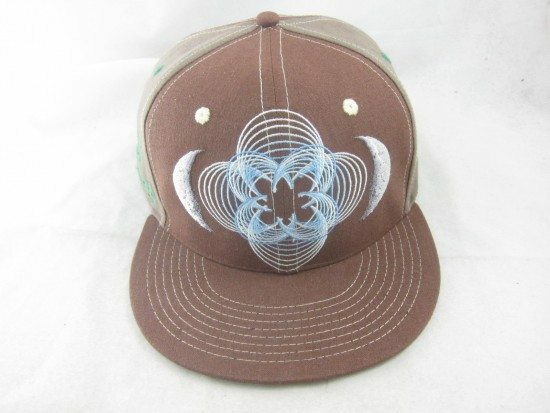 Last month, we announced that we’d be bringing back a third version of the very popular Grassroots California flat-rimmed hat that we first launched in 2013. In addition, we’re pleased to announce a new partnership with Logial Tee – an eco-conscious t-shirt design and manufacturing company. The new design, printed on a 100% organic cotton t-shirt, is both classic and modern at the same time. A choice of sizes from S through XXL are available in either a brown unisex v-neck or a ladies’ navy v-neck. Also this month, we’re very proud to present to you our 2015 Summer Tour poster. Created for the fourth year in a row by artist Sarah Turner (Cricket Press), this fine, three-color print measures 12″ by 18″ and is silkscreened on 100% recycled-content 100-pound paper. Sarah’s work has been featured on posters for My Morning Jacket, Pearl Jam, The Decemberists, Yonder Mountain String Band, Dr. Dog and many others. 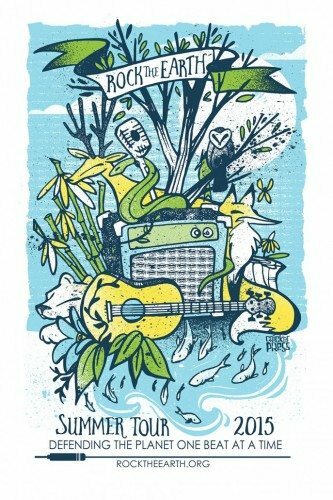 Signed by the artist and numbered from a series of just 100, this poster is sure to be a classic for both the casual and serious concert poster collector. It’s available now for a donation of $25 to Rock the Earth.